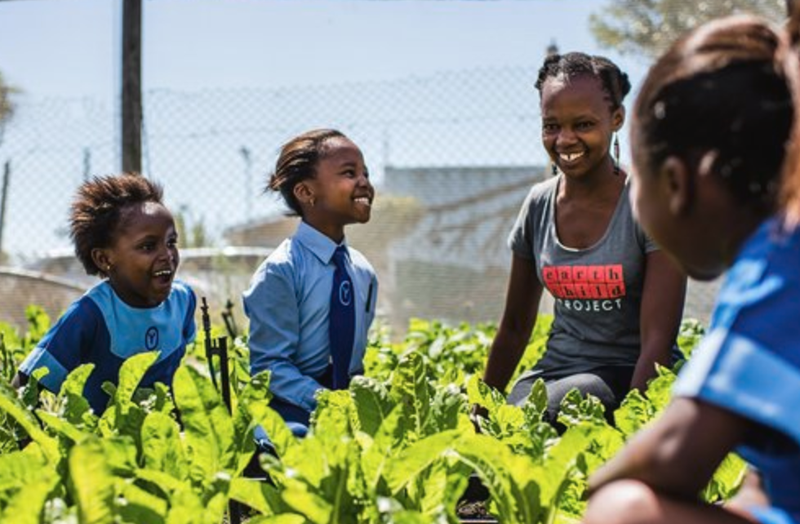 Eco-educator Xoli Fuyani gives disadvantaged children the chance to connect with nature through the Earthchild Project. How can we love what we don’t understand? Xoli Fuyani asks this question constantly. Growing up in Gugulethu, she noticed that environmental education was not a priority for schools in the township. So she made it hers. Fuyani works with environmental organisations to create opportunities for children in under-resourced schools to encounter nature and learn to look after it. In 2002, Fuyani joined Mission Antarctica, a campaign to raise environmental awareness. She travelled 16 000 kilometres through South Africa for six months, doing nothing but teaching conservation. The experience had a profound effect on her, motivating her to dedicate her life to doing this. Since then, Fuyani has spent almost two decades committed to eco-education. She worked for WESSA for five years, coordinating 11 eco-schools in the Western Cape and facilitating an Adopt-A-Beach programme to teach children about coastal environments. Fuyani also volunteered with Pride of Table Mountain, taking kids up the mountain to spark their interest in learning about the habitat. Since 2008, she has been an environmental educator for Earthchild Project, raising awareness on a daily basis. This includes offering waste-management programmes to schools, with a particular focus on vermiculture, or worm farming. The reach of Fuyani’s efforts extends to adults across the country. She sits on the advisory board of Eco Atlas, an online platform that provides information on eco-friendly products and businesses so that consumers can make greener choices. In addition to her environmental work, she’s also committed to social development. Acknowledging that not every child in the townships grows up in the supportive environment she did, she started a group for young women in 2010 to promote encouragement, support and positive influences. The Mail & Guardian recognised Fuyani as one of the Top 200 Young South Africans in 2013 for her work with youth across the country. The educator has focused her attention on children and teenagers, with the belief that they have the greatest potential to create positive change. Fuyani’s myriad projects show South African youth that nature is a part of who they are, and that the future of conservation lies in their hands.